For more info on our standard features - see below. 350gsm fabric (before treatment) in a 65/35 poly-cotton mix to be waterproof, mould/rot treated and Fire Retardant to ISO 6941. Groundsheet @ 540gsm PVC, Fire Retadent. Flue hole/chimney @ 50cm in approved KEVLAR material. Wooden Centre Pole in 3 parts with brushed aluminium connector sleeves. 4 half round mesh windows In wall with curtain/flap to outside. 2 round clear PVC windows in front door panels with curtain/flap to inside and outside. 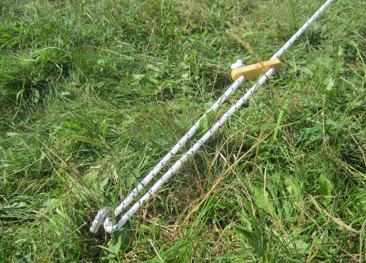 Reinforced 10mm steel pegs to outer guy ropes. 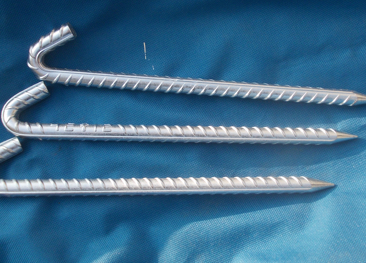 8mm ribbed steel pegs with dual function pegs with nylon tops for inner groundsheet. 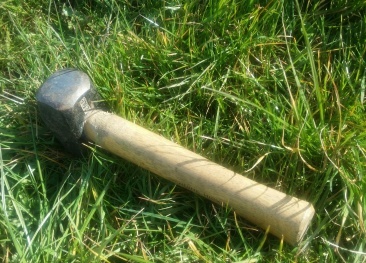 Steel mallet for strength and stability. Packed in 2 inner bags in outer transit bag. A range of optional extras. All your questions answered here and if we have omitted. 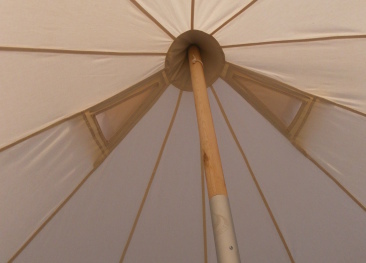 Hints and Tips on how to look after your Belltent. Find out more. 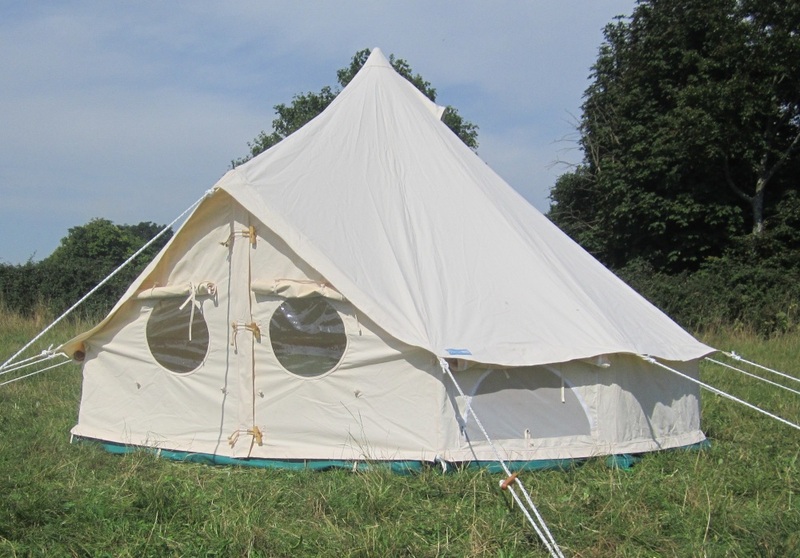 Our tents are designed and developed near Bath in UK and, we always have a selection of units on display at our Show Field. You will find us at Tormarton in The Cotswolds – see map @ xxxxxxx(link). You are welcome to visit us between 09:00 and 18:00. Please Contact Us to make an appointment. Heavier than the competitors, our 350gsm fabric (before treatment) is a 65/35 poly-cotton mix. The cover is waterproof, mould/rot treated and fire retardent to ISO 6941. Standard in traditional off-white colour for the coolest of summers and greatest protection on the not so cool days. 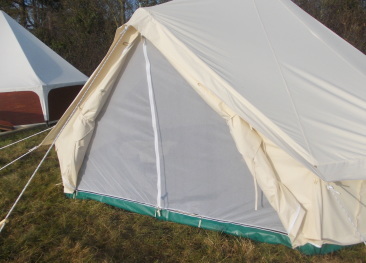 Heaviest duty groundsheet in Fire Retardent PVC, this gives you full protection from any rising damp and cold. The zipped in groundsheet gives you the ultimate protection and reduces tent maintenance through your stay as you seal yourself in against the Outside. 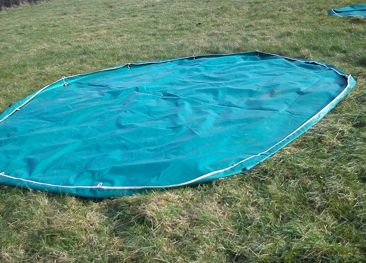 The groundsheet can be removed for separate transport and storage and, is zipped in two half sections, allowing partial opening when onsite. 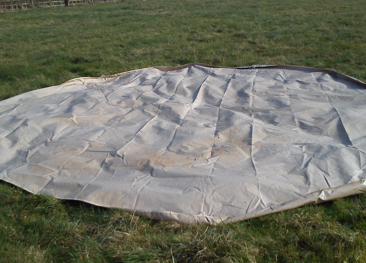 Heaviest duty groundsheet in Fire Retardent PVC, this gives you full protection from any rising damp and cold. 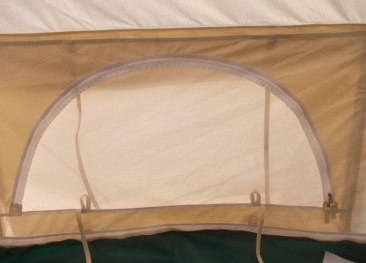 The pegged in groundsheet gives you the ultimate protection. 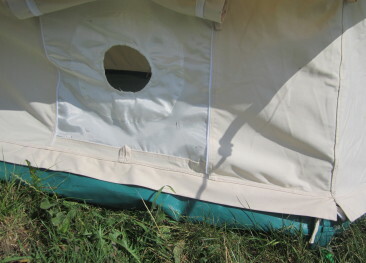 The separate groundsheet makes for lighter transportation and storage as it packs away separately from the main tent. 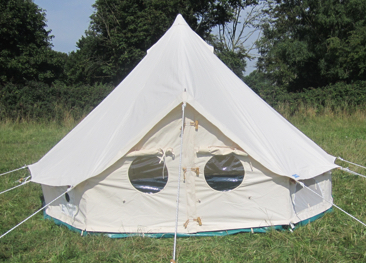 The PIG option allows you to set up the bell tent without the groundsheet should this be your preference and makes for easy ‘rolling up’ of the sides for that cool through draft on hot days. Two inner mesh doors with their own zips allow you to have the main canvas doors open allowing light and fresh air whilst still keeping the midgies out. Providing ventilation and, allowing you to check out the view outside from the inside, these zip-open half round mesh windows are protected by tie back curtains. Mesh panels when closed keep the ‘midgies’ out. Set higher up in the door panels, allowing in light and a look-out port-hole, these clear windows have drop-down curtains to both inside and out. 3m high and supplied in 3 parts, this softwood pole with brushed aluminium connector sleeves @ 50mm thick, this pole gives strong support to the tent and is so much nicer to the touch than the more common metal centre pole, from our competitors. 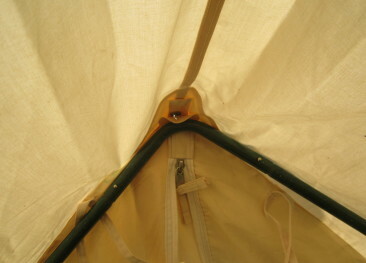 The pole comes complete with an engraved wooden saucer to protect wear on the groundsheet. Push-button spigot fit for easy pack-away, the powder coated steel A Frame gives the front its shape and maintains the rigidity of your tent whilst up. Ribbed steel 10” pegs for the outer guy ropes provide for maximum stability in the heaviest of winds. The inner ring of pegs are strengthened bright steel @ 10” for securing both the groundsheet and the base of tent walls to the hardest of grounds. Spares come as standard. Marine grade 10mm nylon guy ropes give your tent the ultimate strength and stability. 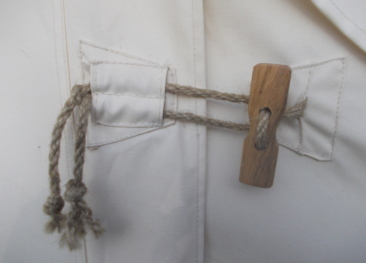 These are fitted with wooden sliders which are both more visually appealing and more secure than the readily available thin nylon guy ropes and plastic adjusters. Spares come as standard. 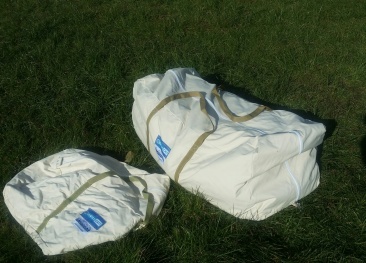 Your tent comes to you boxed and packed neatly away in an outer bag – inside which are two canvas inner bags for sharing the load between main canvas and groundsheet/accessories for ease of transportation. 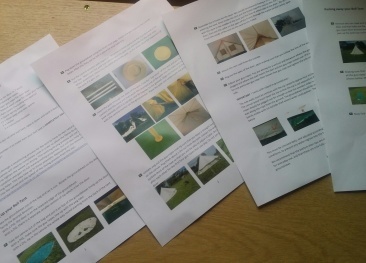 Your bell tent will come complete with instructions on how to build, break down and pack away, along with essential tips on maintenace, storage, 'weathering' and mould avoidance. 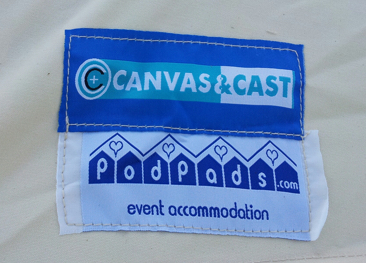 © 2016 Podpads. All rights reserved.